A great way to jump-start a indoor garden of fresh microgreens! This is a set of my 6 bestselling types of certified organic microgreens seeds, in 6 small airtight tins within a larger hinged-lid tin windowed gift box, along with super-easy growing instructions. 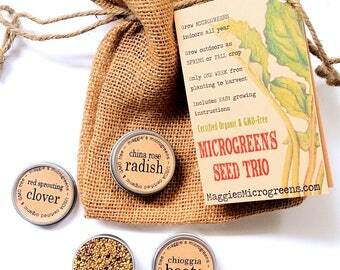 It's a great gourmet gift for beginning or experienced gardeners, or a fun project set for kids. My customers agree, these Bestselling seeds are the easiest and fastest to grow, and the tastiest! 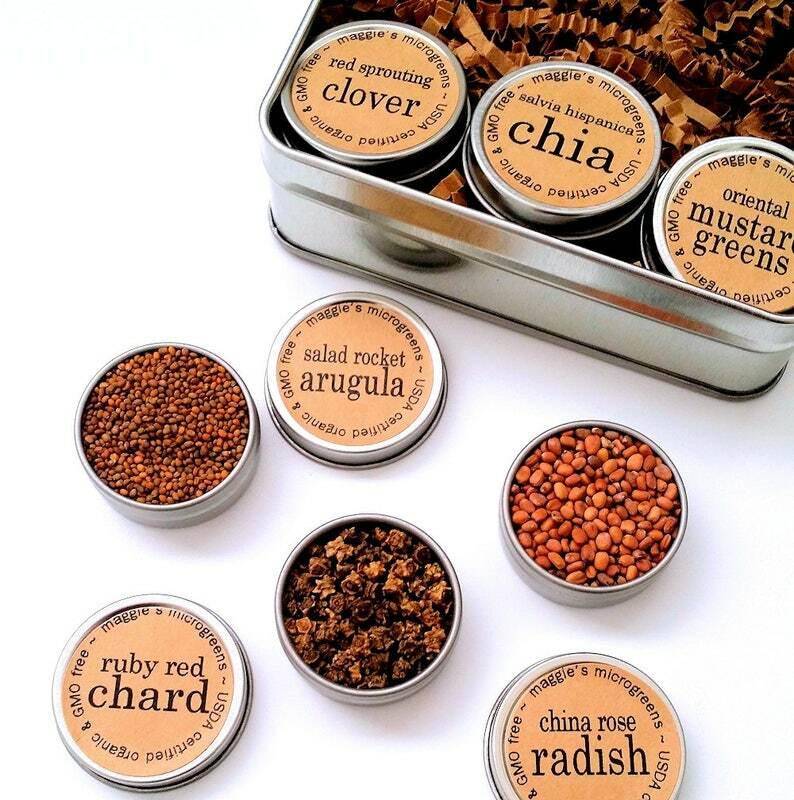 I include one half-ounce / 8mL of seeds in each tin, enough to successfully raise 2 to 3 generous crops of each type in a teacup or pocket garden - whether one of my DIY planter kits, or teacup-sized planters of your own. This amounts to 4 to 6 months of fresh greens! > USA delivery time 3-4 business days; delivery to Canada 10-14 business days. Amazingly fast shipping. The seller contacted me and was extremely sweet. Really appreciated the phenomenal customer service. Thank you very much!